On 8 May 2041 AE, the MV Eidolon was reduced to scrap when ambushed by a Heavy Raider and some Centurions. The Eidolon is a civilian Transworld-class heavy freighter registered to Colonial Containers Limited, a shipping conglomerate based out of Aquaria. CCL provides both transport services and receiving terminals under a variety of corporate brands, the most notable of which is Ark Shipping Lines. 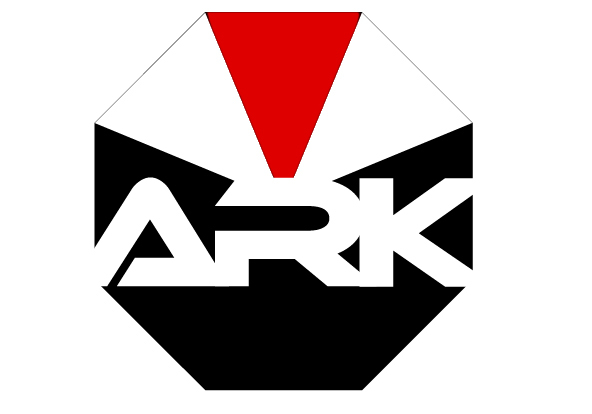 Ark's ships are common sights in starports all around the Colonies, and Ark's logo is plastered all over containers from Aerilon to Virgon. Laid down on Tauron thirty-seven years ago by Peregrine Iron Works, the Eidolon has been in near-constant use since her commissioning. Her shipping manifests — dating back to the date of her construction and kept in painstaking order by her crew — reveal she's carried everything from emergency medical supplies to pet food, from radioactive waste to fertilizer, from aluminum tubes to canned soup. Though she's been in service for nearly four decades, she's somehow still managed to pass all of the annual safety inspections every old vessel must endure. Her registered captain was one Lilly Evans. Logo of Ark Shipping Lines. Image credit: Rojas' player. On 10 April 2041 AE, a six-man away team led by LTJG Haeleah Parres was dispatched from Cerberus to investigate MV Eidolon after the heavy freighter jumped into the space around Parnassus Anchorage. The resulting investigation revealed that the ship had been attacked by Cylons on or a few days after Warday and had been jumping from system to system according to an automated system set up by her last surviving crewman. MV Eidolon was recovered and integrated into BSG-132 under the command of RADM Michael Abbot after her new crew successfully piloted her back to the Anchorage. 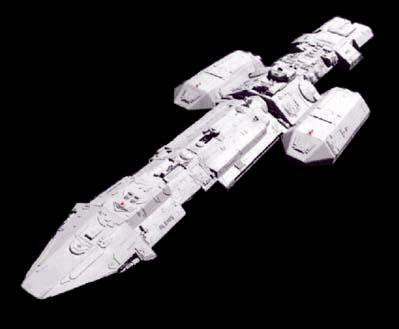 On 8 May 2041 AE, MV Eidolon jumped into Cylon-occupied Leonis space. Outfitted with a captured Cylon IFF, she landed without incident — but was attacked after heretofore unknown scouting units initiated communication with that IFF device. As of 8 May, MV Eidolon is no more than a hulk with bunks and a bridge.